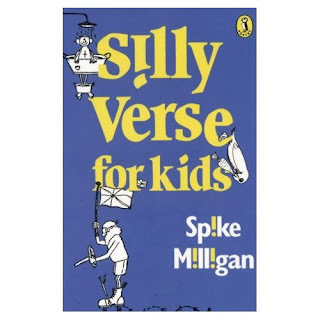 What Homeschooling Book: Spike Milligan's Silly Verse for Kids. Time for Bluebell Books fortnightly poetry review.... time flies! 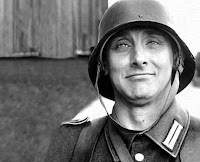 Today I'm looking at Spike Milligan's Silly Verse for Kids. This book of verse is tightly written, irreverant, brilliant and as promised, very, very silly. Spike Milligan is one of those staples of children's verse that I find never fails to cheer. His style is totally unique in it's blend of wisdom around the human condition and absolute craziness. This combination in Milligan's poetry, along with it's lack of pretense or the sometimes caustic worldliness of other talented writers such as Roald Dahl is foolproof in getting people of all ages to have a giggle. Now he's having much more fun. It was the only way I could avoid being defeated. There's definately nothing else like it!